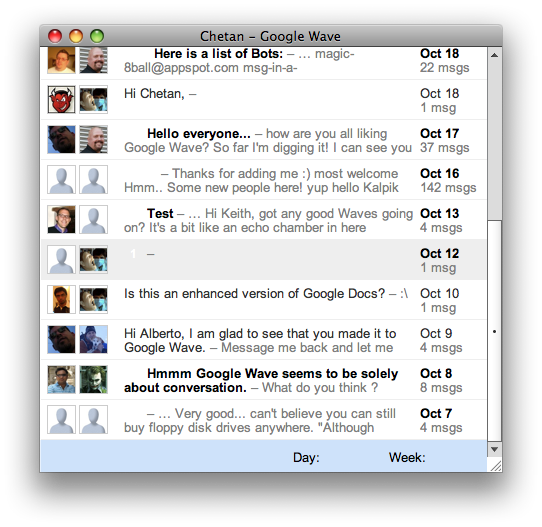 Google wave, the communication platform launched by Google some time back, now is available in ways out of the web browser. Though not fully designed, there is a Wave client available for all operating systems through Adobe AIR platform. Its Waver app for Mac, Windows and Linux, which is developed from the iPhone version of wave and is still developing to display all images well. And the normal functions like sending waves, pinging contacts etc. is possible. The app has a single window with sections of waves and contacts, and box for opening a new wave section. It has no much customized options, and it keeps itself open in the background and you can always keep an eye on what’s up in the wave inbox, without having to keep a tab open in your browser to do the same. 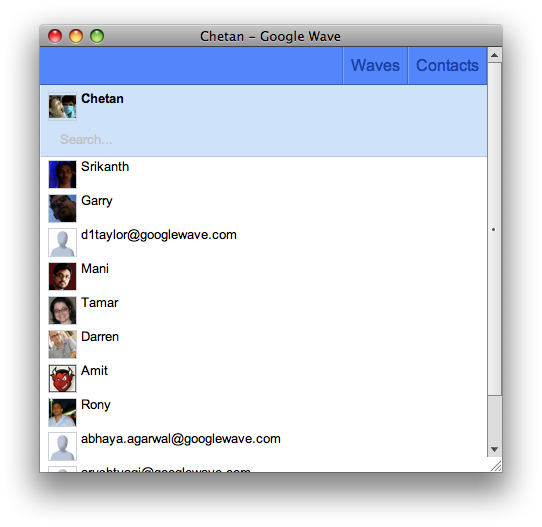 Once I had shared some Google wave tips and tricks but those would function well when you are browsing through a browser but if you just want to use wave for normal conversations etc. then this client will work the best for you. It is a very simple client for Wave, and needs Adobe AIR to run. You can download Waver from here.